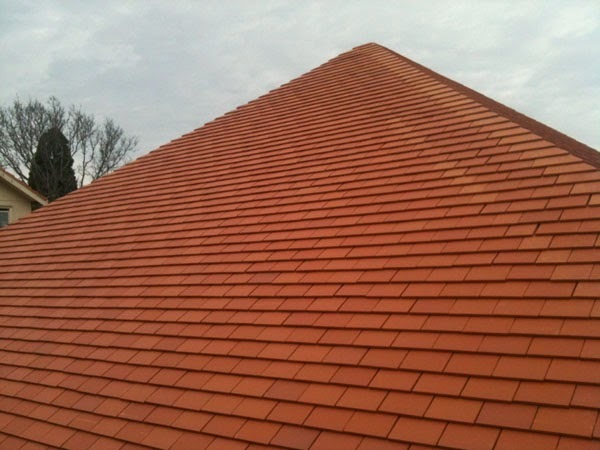 We have just completed a project in Melbourne that demonstrates terracotta shingles fit perfectly in a modern design. 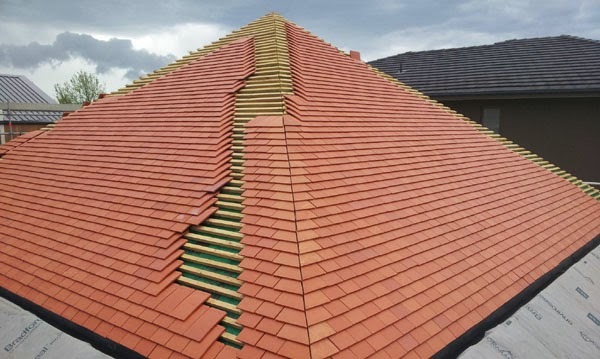 Traditional shingles are usually associated with period home designs, replete with intricate shapes, heaps, ridges and gables, as well as steeper roof pitch. 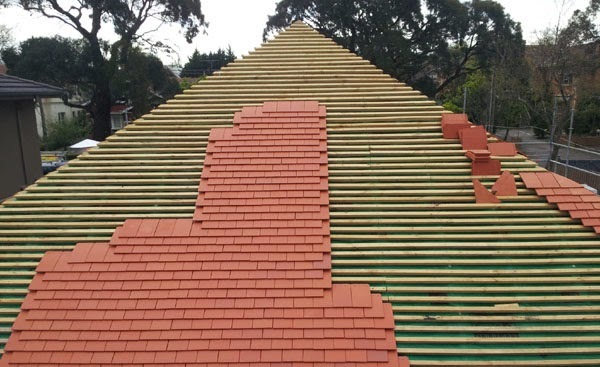 But on this project, architects Kennedy & Nolan chose the sheer lines of a pyramidal shape, and the plain and vivid colour of raw terracotta. The result is a landmark that will age nicely and stand the test of time, probably becoming a classic example in a future near us. 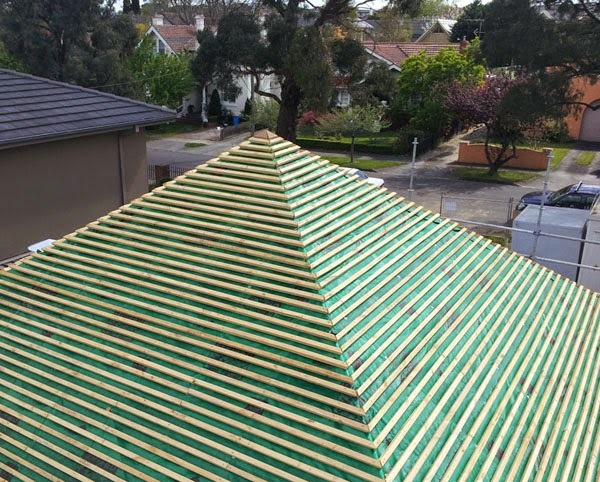 Indeed, it wont take too many years before this roof blends with style and originality, just off one of Melbourne's most recognized golden miles. 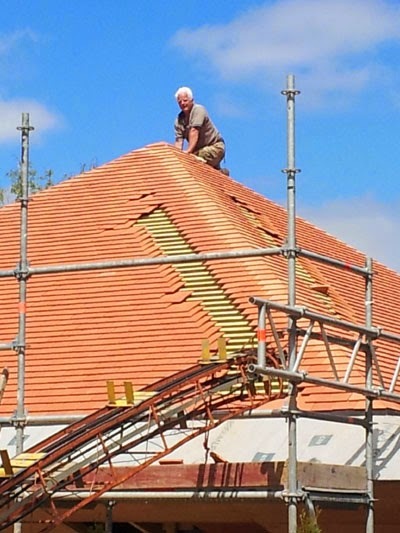 Making sure the shingles are aligned ! Always on top of things ! 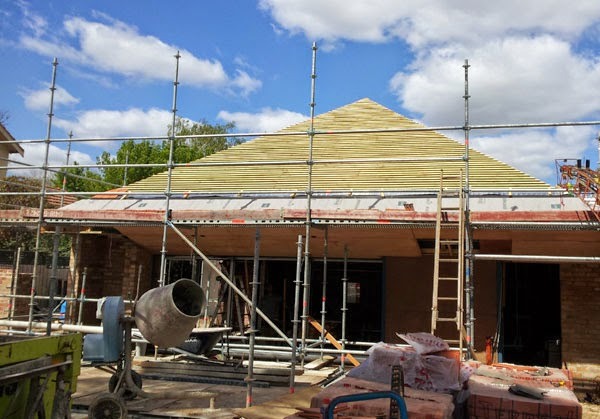 With a range of French roof tiles that also includes Mediterranean curved profiles, TGH is able to respond to any request for a genuine French look, supply only, or supply and fix as well. With 17 years of experience in Australia (and far more in old Europe...), we can certainly direct you to a location in Melbourne or Sydney that will very likely resemble what your next project is going to look like ! But to keep it simple, we have a number of picture galleries on our website, for you to draw inspiration from. And if it is not enough, we are just a phone call away for some serious advice. We shall speak soon !